What are you waiting for... ? Lets go, do it! Getting a preapproval letter from a lender will allow you to know exactly how much home you can purchase, and streamline your home search because you won’t waste time looking at homes you can’t afford. Frustration will be diminished or completely eliminated between you and your realtor in terms of narrowing down what property will be sufficient and affordable that meets your needs. The Lender has to do work in advance, including a credit check and confirmation of income to determine borrowing qualification. 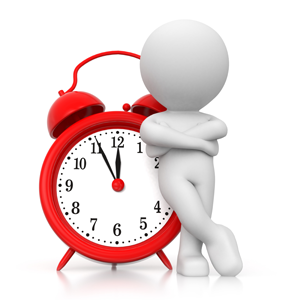 A good amount of time is saved in terms of loan processing, when you find the home you want to buy. As long as you don’t make any drastic changes to your financial situation after your offer to purchase is accepted by the seller, before the underwriters completes final approval, and escrow is opened, things can move ahead much faster. The Lender has already agreed to finance your home purchase. Now, it’s just a matter of gathering up the information for any additional verification of information the lender requires and having the home appraised. During your home search, you become a stronger buyer in the eyes of sellers. In situation of multiple offers, seller will pay closer attention to offers that include lender prequalification and preapproval letters. The seller becomes aware that you’re already working with a lender that’s willing to finance your purchase and that you can perform. This can often be a major motivator for owners wanting to sell their homes. A first time homebuyers aren’t aware of additional costs that come with buying a home like title insurance, lender closing costs, homeowners insurance and escrow fees. With an itemized list of costs provided after being preapproved or prequalified, buyers are armed with good information and ready for any additional expenses. These information will assist buyers when it comes to making decisions on buying a home that needs repairs, renovations, landscaping or other work. Preapproved or prequalified for a mortgage lets sellers know that you are serious about buying a home and demonstrates you have the ability to perform. This gives the buyer the advantage of strength in negotiations since your approval is as good as a “done deal” SOLD!, when it comes to buying a home. Provides you the buyer the ability to offer the fair market value and perhaps offer a lower price than what a property is listed for on the market. The seller may be debating between your offer and a higher offer from a buyer who hasn’t been preapproved or prequalified and being in the position of already preapproved or prequalified just might give you the edge for the seller to be a little more flexible with your terms and acceptance of your offer. CONFIDENTIALITY NOTICE: The information contained in this communication and any document attached to or transmitted herewith is privileged, business, or otherwise confidential and intended for the exclusive use of the individual viewing the document. Please be informed that any advice contained in this website or its attachments cannot be used as legal advice in any manner. Robert Lim and his team recommends that appropriate legal counsel be contacted for such guidance or advice. The reader of this information is hereby notified that any examination, use, dissemination, distribution, or copying of this communication or any part thereof is strictly prohibited. Best efforts have been made to insure accuracy but no guarantee is expressed or implied. All information is subject to change without notice. Not an offer to extend credit or a commitment to lend.